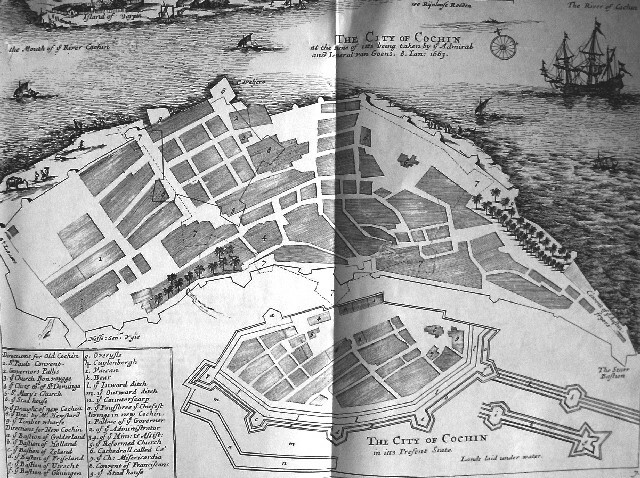 Cochin under the Portuguese and Cochin as it would become under Company rule. The dotted line in the Portuguese city marks the form of the later Dutch city worked out below, much smaller and more easily defensible. The uninterrupted line marks the place where Jacob Hustaert had envisioned building a five-pointed fortress, which however, was never built.